Throughout the year Anglian Water releases a statutory compensation flow from Rutland Water into the River Gwash. In addition, it releases extra water when the Gwash to Glen Transfer Scheme is operated which transfers water from the Gwash to the River Glen to maintain healthy river levels. 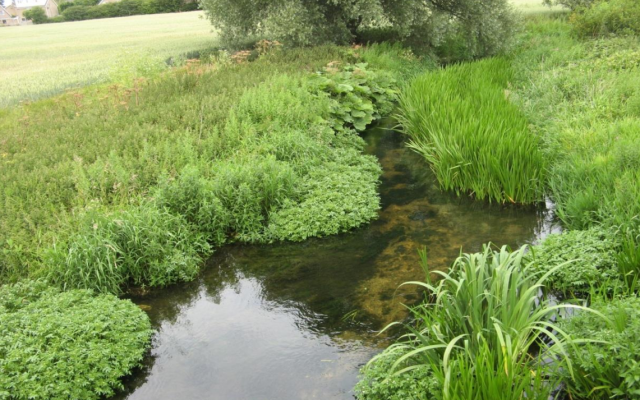 This project aims to trial a lower minimum residual flow (MRF) requirement in the River Gwash, measured at Belmesthorpe in Rutland, when the Gwash to Glen Transfer is being used. 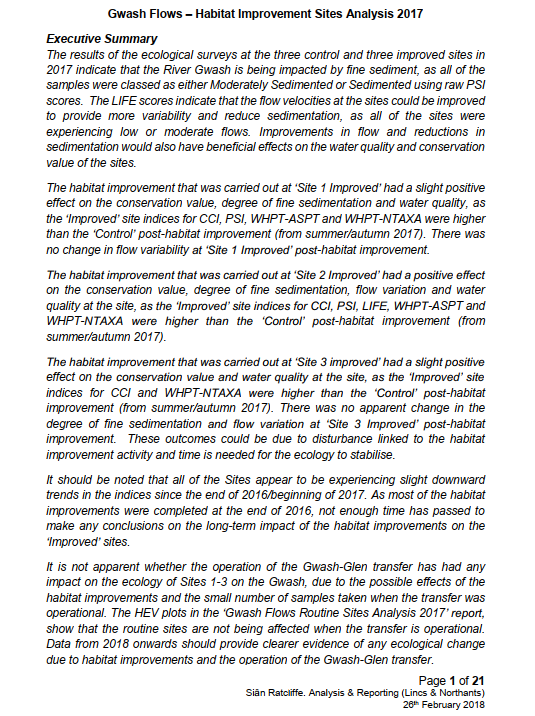 The lower MRF is based on extensive investigation into correlations between flow patterns and invertebrate communities in the Gwash using Lotic-invertebrate Index for Flow Evaluation (LIFE) analysis. This concluded that releases from the reservoir were suppressing flow variability particularly during summer months as low flows were not experienced. This has produced an unvarying and atypical invertebrate community. 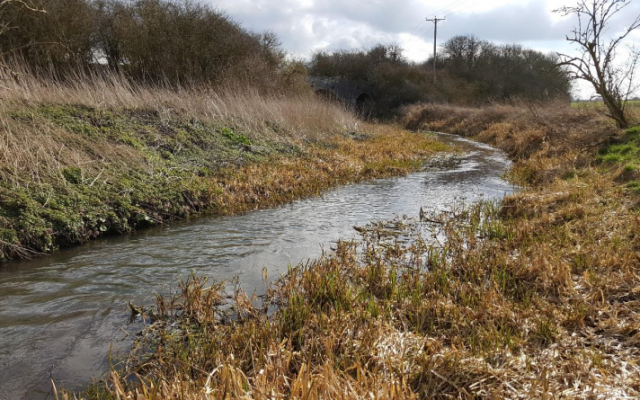 Flows in the Gwash are well above the flow required for in-channel ecology and the transfer MRF at Belmesthorpe could be lowered by up to 23% without adversely impacting the ecology. 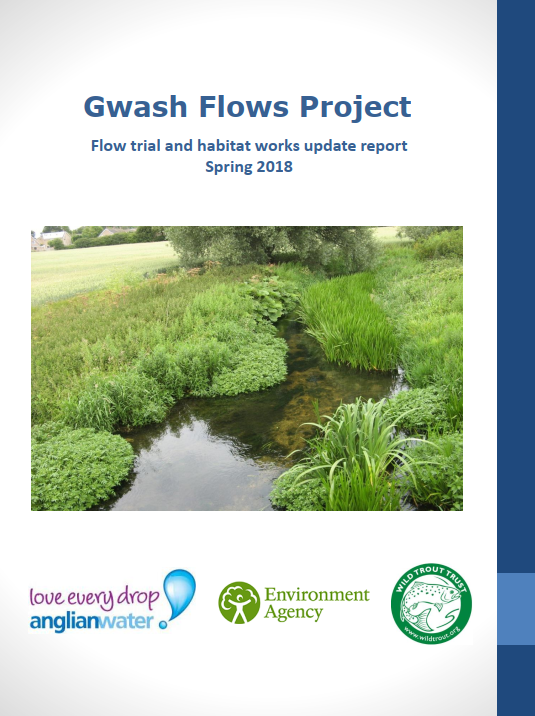 Over the next few years, the Environment Agency will be monitoring how a lower minimum flow requirement at Belmesthorpe during the Gwash to Glen transfer, could result in benefits for the ecology, fisheries and water resources management. Before the trial, the MRF on the River Gwash at Belmesthorpe was 27 Ml/d. During the trial, when flows are reducing and transfer is ON, a residual flow of 21.6 Ml/d will be trialled at Belmesthorpe. This is a reduction of 20%. Extra water will be released from Rutland Water for the Gwash-Glen transfer as before. Extra water will also be released if the flows in the Gwash are less than 21.6 Ml/d. The project will not affect the statutory compensation flow. 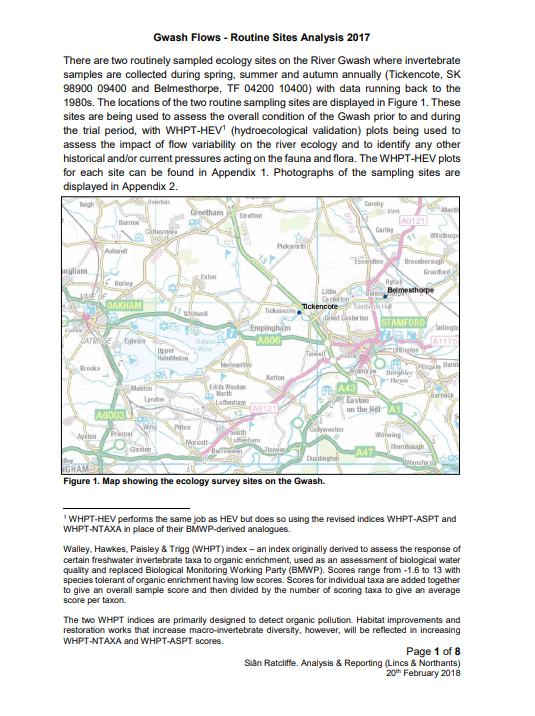 Ongoing routine and non-routine monitoring to ensure the trial is not having an impact on local wildlife.